Brandon Henry entered an Alford plea to second-degree murder Wednesday, Commonwealth's Attorney Paul Ebert confirmed Thursday. An Alford plea is not an admission of guilt, but an admission that there is probably enough evidence to convict. A Virginia man has entered a plea in a dispute between neighbors that led to a fatal stabbing. Prosecutors say Henry stabbed two men in Woodbridge, Virginia last July, as one of them tried to break up a fight between Henry and the other man. The victims were brothers-in-law. Alvin Elroy Cannon, 44, died shortly after being taken to the hospital. Cannon's brother-in-law survived. Northern Virginia Bureau Chief Julie Carey reports on a fight in Woodbridge that ended in a murder. The incident took place July 9, 2014 in the 15000 block of Cloverdale Road. Cannon's relatives say the trouble started at a neighbor's home, just three doors away. Police say Cannon's wife had stopped in at a gathering there, but got into a verbal altercation with a female resident. Cannon's wife said she was struck in the head, returned home and called her brother, asking him to come over in case there was more trouble. When he arrived, authorities say Henry confronted him in the driveway, threatening with a knife. Relatives say Cannon heard the commotion and went outside to try to break up the fight. Both he and his brother-in-law were stabbed. 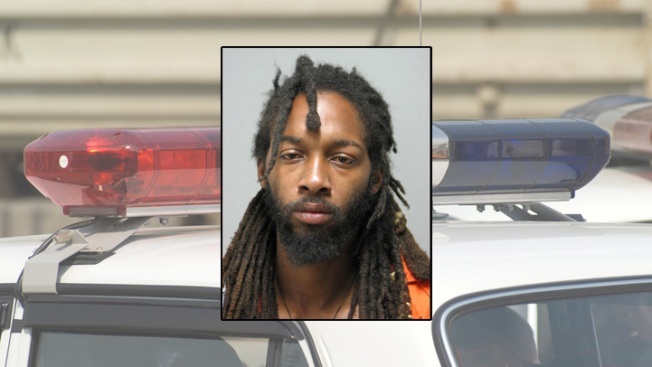 Authorities say Henry fled the scene, but Prince William County Police tracked him down at a nearby townhouse complex and arrested him. Police believed he had been drinking prior to the alleged attack. "It's just a neighbor dispute, a verbal argument that escalated out of control, possibly fueled by alcohol," said Jonathan Perok, Prince William County police spokesman. After Cannon's death, his family was struggling to cope with the sudden loss. Cannon had worked as an electrician and with a landscaping company. His wife of two years says he provided for her and six children in their combined families.